We like to note important milestones here on HubPages, like our billionth Hub view and our millionth Hub. Milestones help remind us that we’ve come a long way as a large online writing community. One feature, our Answers section, has paired askers with answerers for the last few years, and we’ve hit an important milestone with respect to it recently: we’ve had 100,000 Questions published. About a year and a half ago, we saw an inflection point which put the number of new Questions on a new trajectory. That new rate has sustained since. About 1/6 of Questions get moderated. Each Question yields an average of 2.5 Answers and Hubs. Lots of great Hubs are inspired by Questions, including Lisa HW’s How to Get Over an Abusive Relationship and Marye Audet’s How to Install Landscape Pavers. Many Hubs written in response to a Question have been, like these, great for traffic for those Hubbers who published them. We hope 100,000 Questions is just one of many impressive milestones for the Answers section! Feel inspired to ask a Question or try your hand at answering any of them? Visit our Answers section and have a go! 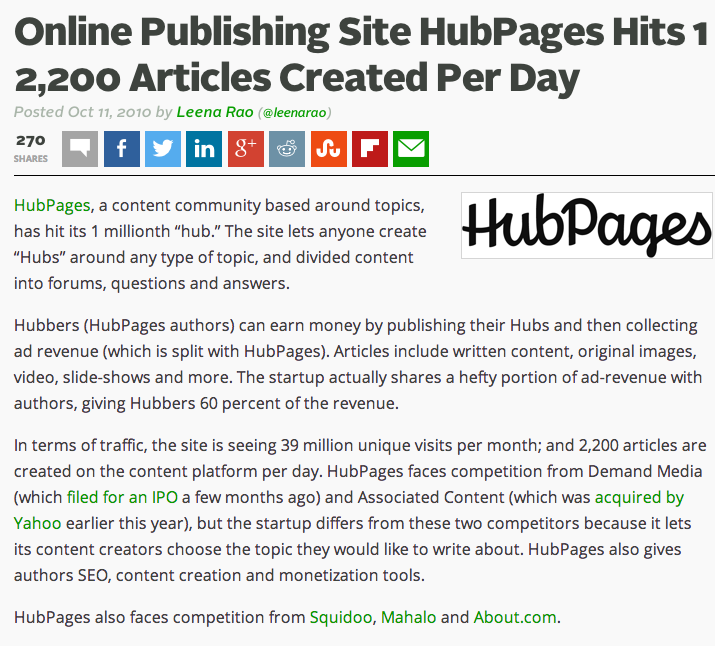 This Monday, TechCrunch was the first to announce that HubPages has hit 1 million hubs! This is quite the exciting milestone, and it’s notable that these are all of the hubs that have passed moderation and review, which means that the HubPages has not only published 1 million hubs, but 1 million good ones. The millionth hub published, in fact, is a great example of the lovely guides and articles that get published by hubbers on a daily basis. Awesome Halloween Treats by Jaynie2000 is jam-packed with great seasonal snack ideas, and a total pleasure to read, especially for those of us with a sweet tooth! At 11:41am on a warm New England morning, a sweet-toothed anonymous Internet adventurer ventured forth in search of one thing and one thing only: sponge cake recipes. What did this intrepid explorer discover? 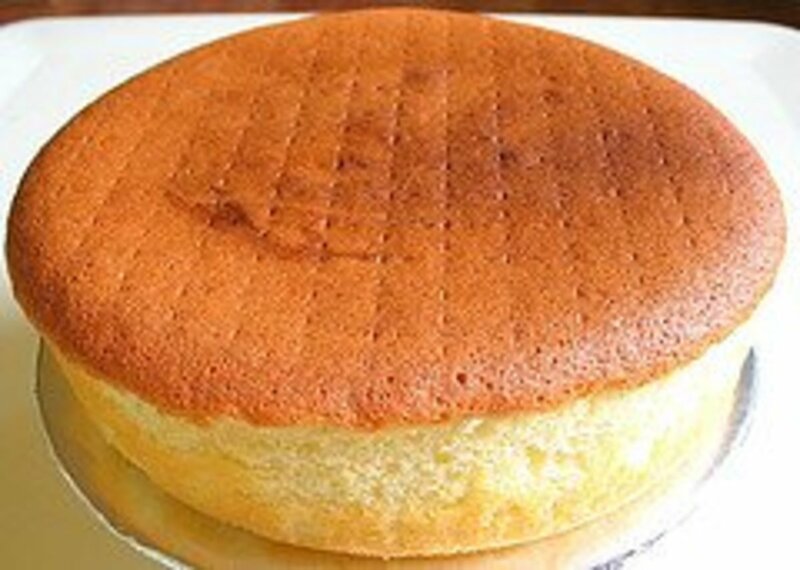 Nothing short of our very own Angela Harris’ Sponge Cake Recipe – a short but sweet recipe hub first published in 2008. Little did this mysterious Internet traveler know that he/she was the billionth person to view a HubPages hub. Indeed, as of this Tuesday’s Sponge Cake Recipe hub view, hub pages hubs have been viewed over one billion times! This is a really fun milestone in HubPages history and goes to show that people love reading our content as much as we love writing it! Congrats to Angela Harris for authoring the billionth-viewed-hub. I wonder who will be the author of HubPages’ two-billionth viewed hub… Could it be you? I bet we’ll find out sooner than one might think!